As I don’t believe I should only blog about the books I like, I’m going to share a couple of books that I didn’t finish and the reasons why. No book can be loved by everybody after all and maybe you’ll see something in these that you would enjoy. I am more than happy to pass them on to UK guest reviewers, free of charge if you fancy giving either a go. 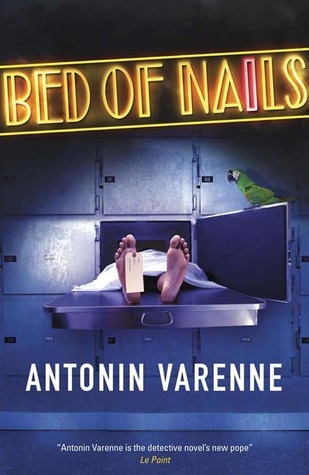 I picked up Bed of Nail as part of my Paris in July reading and I think my lack of engagement with it is why I did so badly with my personal goals. The concept sounds good; Parisian suicide squad with offbeat characters and a talking parrot. Overall I found it a bit odd and there is an over use of “had” which makes the prose feel a bit clumsy. I don’t know if this is just the translation or the intended style but it wasn’t for me. A shortish book, I gave up at page 102. 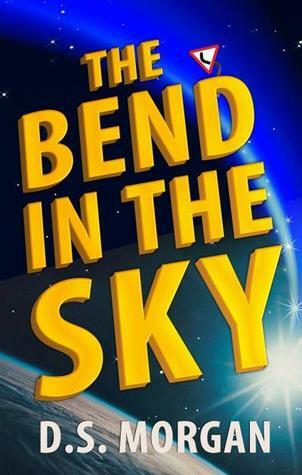 The second book I gave up on is The Bend in the Sky by D.S. Morgan. I will struggle to summarise the plot as I haven’t the faintest idea what is going on. There’s an intergalactic rock concert for life forms that are possibly infinite, a man on earth that goes into a pub, an infinite debt with a dangerous loan shark and something that’s about to destroy the earth. It really feels like it’s trying to be Hitchhiker’s Guide and missing the mark by a longshot. There are a lot of made up words and things and no clear explanation, without the handiness and plain talking of The Book. There are a few glimpses of satirical humour but I just found it too hard going. I’m sure it would appeal to a certain type of sci-fi reader that takes the gobbledegook in their stride. It may have improved greatly as I only made it to page 75 before saying enough is enough. I don't know about either of these books in particular, but I think it's important to be honest about what you thought. I know some blogs where they only seem to post reviews of books they've liked, and not the ones they disliked. I like your reviews because they come across as honest and balanced.